Sour Diesel offers a super-clear head high with intense mood-boosting power. Also known as Sour D, this pungent, diesel-scented bud packs a powerful sativa-typical punch. A great medical strain, many patients use it for relief from pain, anxiety, chemotherapy side effects, multiple sclerosis, glaucoma and depression. 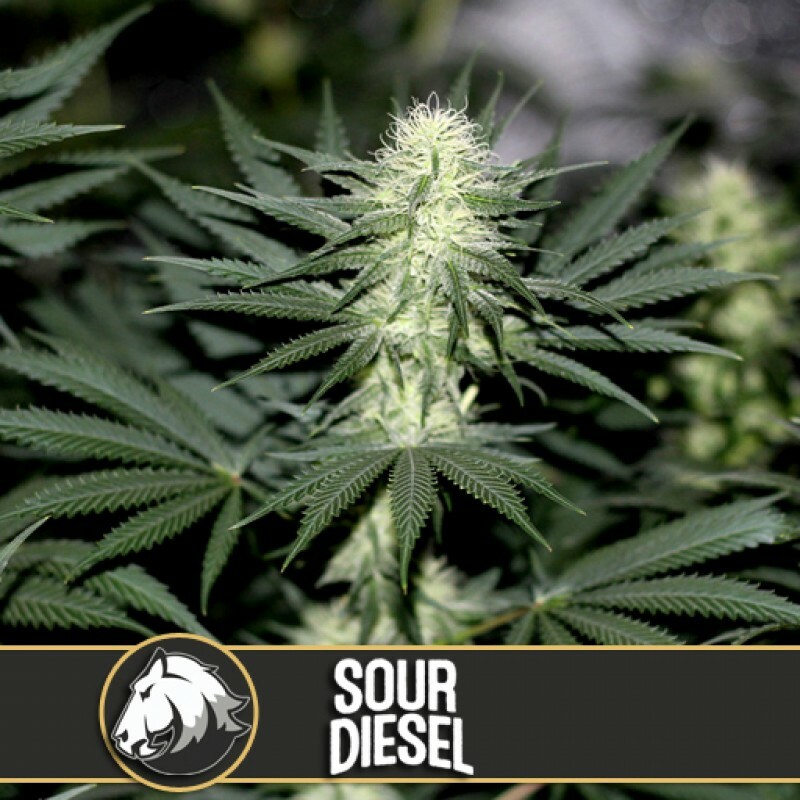 Sour Diesel is a cross between Chemdawg, Northern Lights and Skunk #1 – some of the best sativas. These feminized seeds are heavy yielders but stretch in the first few weeks of flower. Harvest light green, compact buds after 10 to 11 weeks.